​The Veteran Children Project is pleased to report that we are nearly finished with the film editing of our 30 minute documentary program for public television. The film “Veteran Children” will feature the voices of military children whose parents have served in Iraq, Afghanistan, or Syria. This project is more important than ever, as our wars go on, and military families continue to be impacted. Our short film Veteran Kids will be featured at the HLS Bicentennial Film Festival (http://200.hls.harvard.edu/events/hls-in-the-arts) to be held at Harvard Law School on September 16, 2017. Producer Susan Hackley will show the film and talk about its purpose and the process of filmmaking. This will be the fifth film festival featuring Veteran Kids. ​The film shows an intimate conversation, as civilian children ask questions about what it is like to have a parent go to war and military children share their feelings and experiences. You will hear their sincere and poignant exchange, which models the productive and open conversations that are possible when we connect across the military-civilian divide -- the girl who speaks with pride about her dad’s service while describing her fears for his safety; the boy who talks about the tidy and unoccupied bedroom of his mother, a reminder of her deployment. These stories are candid and unscripted. They give us a chance to consider what the experience of war is for the two million children whose parents have gone to our post-9/11 wars. Veteran Children - our new name and new website! We are proud to present this site as our new platform for bridging the military – civilian divide by engaging veterans, political leaders, educators, medical experts, and American youth in discussions and films about how military families experience war. In 2013, this project began as A Child’s Guide to War. Founded by Susan Hackley, the mother of an American combat veteran, the team has expanded to include respected filmmakers, veteran family members, and community leaders. From countless discussions and interviews, the team produced a short film called Veteran Kids, which has been featured at five film festivals. We are now working on completing a documentary film which will be aired by WFYI, the PBS affiliate station in Indianapolis, Indiana, where much of the filming has taken place. We renamed the project Veteran Children to reflect our focus on the impact that war has on children of veterans and servicemembers currently serving in our post 9-11 wars. The new website provides a more dynamic, informative platform from which to communicate our project and progress. We are pleased to announce that the Garden State Film Festival has selected "Veteran Kids" and it will be shown in Atlantic City, NJ this month (March 30th-April 2nd). This is our 4th film festival this year! In early November, "Veteran Kids" was shown at the Boston International Kids Film Festival 2016. Now, they are going to show "Veteran Kids" again at a "Best of the Fest" event for the best films from the 3-day event for an 1.5 hour compilation on February 2nd, 2017 at the Capitol Theatre in Arlington, MA. Come support the "Best of the Fest" by watching "Veteran Kids" on the big screen! They will be screening eight of the best shorts and six of the best kids films. To support us and see the fest: Buy tickets here! Pictured below: Producer Susan Hackley with co-producer Martha White Jackson (left) and business manager Paul Henry at the November 3-4 Boston International Kids Film Festival, where "Veteran Kids" was shown and later named "Best of the Fest"
What an exciting year for A Child's Guide to War. We were selected for three film festivals, (Middle Coast, MY HERO and Boston Kids International) and now we've been interviewed and profiled by an organization called We are Moving Stories. The organization broadcasts new voices in the arts, particularly women's projects. The Impact of War on America’s Children and Families. ​Congratulations! Why did you make your film? We made this short film, Veteran Kids, to show how our wars impact children in ways that are invisible to most Americans. Two million American children have a parent who has been to war. In our short film, children speak movingly about what it’s like when dad or mom goes to war. This will be part of a longer documentary film we are making for Public Television about the impact of war on America’s veteran children. I was motivated to make this film by my own experience. My boyfriend served and died in Vietnam. I felt alone in my grief and unsupported. My son served in and returned home safely from the Iraq war. I vowed to do whatever I could to encourage better, more inclusive conversations about war. War is too important for any of our voices to be silenced. You should watch this film because it is honest and emotional. There are no adults – just children talking to each other about war. It’s not like anything you will have seen before. And it’s short – under six minutes! War and peace are universal themes. Everyone knows someone who has gone to war – maybe a great-uncle, brother, neighbor, or friend. And we all know how hard it can be to talk about war. How does someone who has never been to war talk to someone who has? How can a veteran talk to us about some of the awful things he saw in war? In our film, we give children the opportunity to talk about war in a way that models honesty and candor. Even for children whose parents haven’t been to war, our country has been at war their entire lives. What is it like to grow up with that? What are their questions? In “Veteran Kids”, children with parents who went to war talk with children who have no experience of war and tell what it’s like. “Veteran Kids” was filmed in Indianapolis, Indiana. Our film is unscripted. One way that our project has evolved over the course of its development is that we are learning from people of all ages that war impacted them as a child. A child whose dad fought in Vietnam has a lot in common with a child whose mom is serving in Iraq. Also, we are moving towards making our documentary for Public Television rather than initial release in theatres. We believe that television will be a great way to start spreading our message about the impact of war on children. Along with film making, we are holding public conversations about war at universities and in communities so we get lots of feedback. Nearly everyone says how moving the children in the film are. Many people come forward and speak about how war has impacted them. The dad with PTSD. The grandfather who only spoke about his war experiences on his deathbed, carrying all that pain for decades. The friend who drinks too much. Also the proud stories of service and heroism. We know that civilians often want to connect with veterans in meaningful ways. We try to model what a loving and respectful conversation can be. There is a kind of taboo against talking about war, and we don’t think that’s healthy for any of us. The feedback has pushed us to keep going, even when we are low on funds and tired. No one is doing what our project is doing, and we want to give children and others the opportunity to tell their stories in a nonpartisan way. After we filmed children talking honestly about what it’s like to have dad or mom be off at war, their parents and some grandparents said to us, “We had no idea they felt that way”. A goal of our project, A Child’s Guide to War, www.achildsguidetowar.com, is to help Americans have honest and respectful conversations about war without partisanship. The films we are making are a catalyst for that discussion. A child of ten in another ten years can join the military and vote. If we don’t talk to them about war now they will not be prepared to make informed decisions later. Whom do you need to come on board (producers, sales agents, buyers, distributors, film festival directors, journalists) to amplify this film’s message? We need people who believe in our project and mission who will support the film financially. A wide gulf exists in America between those who have served in the military and their families and those who haven’t. We would like viewers to have greater appreciation for the families who have a parent off at war, particularly the children who can be impacted in many different ways. We would like viewers to think about the impact of war on their own children, whether there is a parent away at war or not. Americans often think that war only happens “over there”. We will show you that war affects all of us and particularly our children. How are children affected when their mom or dad goes off to war? We want civilians to be included in discussions about military service and war, and we want soldiers, veterans, and their families to feel appreciated and supported by civilians. 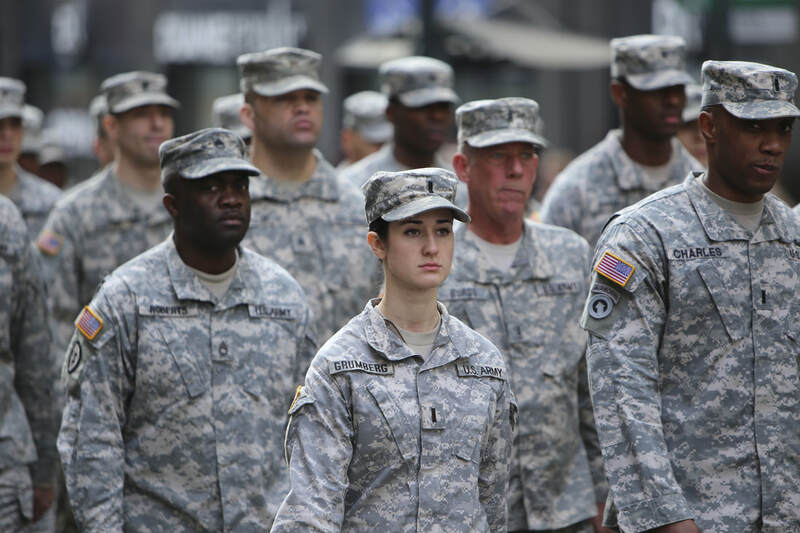 We believe that every American has an ownership role in our wars and our military. We are working on a longer program for Public Television that expands our telling of how our wars impact our children. Susan Hackley is managing director of the Program on Negotiation at Harvard Law School and is the producer and project director of “A Child’s Guide to War”. We are excited to announce that A Child's Guide to War's short film "Veteran Kids" has been selected for two different film festivals this week, our third festival this year. The first, Boston International Kids Film Festival (BIKFF) will be showing "Veteran Kids" at the Davis Square Theater in Somerville, MA at some point between November 3rd-5th this year. More details to follow! BIKFF is a festival promoting both works by kids and for kids, inspiring the next generation of filmmakers. We are thrilled to be invited to participate this year. 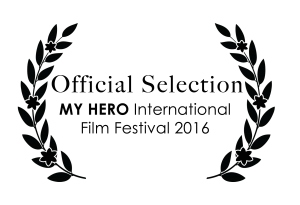 The second festival is the MY HERO International Film Festival, a festival that is sponsored by the My Hero Project, an organization that is dedicated to recognizing and supporting unsung heroes in our communities. The MY HERO International Film Festival will be promoting all the winners online, and a select number of winners will be presented between November 18-19 in Santa Monica, CA. Stay tuned for an update on October 11th to see if our film will also be screened in Santa Monica. Join us in watching this thought-provoking new video on our YouTube channel, an Interview with Wheelock Professor Diane Levin. Interviewed by Producer Susan Hackley, of a Child's Guide to War, Professor Diane Levin talks about the impact of war on American children and how we can talk to them about it. Diane Levin, Ph.D., is Professor of Education at Wheelock College and an international expert on early childhood education. Her professional expertise and interests focus on issues related to promoting children’s play, the impact of media and media violence, violence prevention, and peacebuilding with children in communities affected by war and conflict. For over 25 years, Levin has worked with early childhood professionals, parents and policy makers. She has published nine books, including From Conflict to Peacebuilding: The Power of Early Childhood Initiatives and Teaching Young Children in Violent Times. She co-wrote The ‘So Far’ Guide for Helping Children and Youth Cope with the Deployment of a Parent in the Military Reserves. 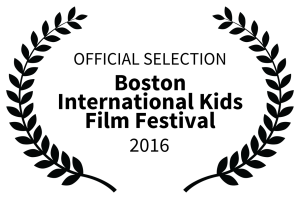 We are excited that "Veteran Kids" has been selected for the Middle Coast Film Festival to be shown on July 28th-30th in Bloomington, Indiana. Creative Visions Foundation is the proud fiscal agent of Veteran Children. Creative Visions Foundation is a publicly supported 501©3, which supports Creative Activists who use the power of media and the arts to affect positive change in the world. All donations are tax deductible.